When the London & Birmingham and later the London North Western Railway Company decided to build their Locomotive and Carriage Works at Wolverton they engaged in the creation of a new community. Wolverton Station as it was first called, the Milton Keynes of its day, was almost certainly the world’s first purpose built railway town. They built housing for their workforce and provided funding for a school, the development of St George’s and other Churches, as well as a Mechanics’ Institute. Isambard Kingdom Brunel visited to get ideas for the design of the railway town of Swindon. The Works in 1838 was established to the west of the original railway line on a square site (roughly where Tesco’s car park and garage is today). James McConnell, the first Locomotive Superintendent and his skilled engineers ensured that Wolverton Works became world famous for its locomotive construction (in particular the Bloomer engine). Things seemed to be going well when a double blow occurred. First McConnell unexpectedly retired in 1862, then it was announced that the Locomotive Works were to be removed to Crewe. This caused consternation as it necessitated the removal of the majority of the skilled mechanics from Wolverton to Crewe. Crewe became the Central Engineering Station of the London and North Western Railway, Wolverton the specialist Carriage works. 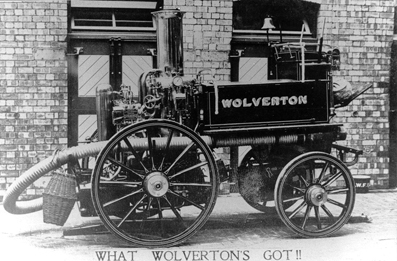 As a result Wolverton received a large influx of coachmakers, trimmers, painters and associated trades from Saltley in Birmingham. This change was not welcomed at the time, especially as a loss of prestige and concern about the future was felt. Some younger people without families decided to get employment in America, Australia, India, Canada, and other countries. However the changes led to a rapid expansion of both the Railway Works and the Town. The development of the railway line was so rapid, that it was necessary, to meet the requirements of the passenger traffic, to build many more carriages. 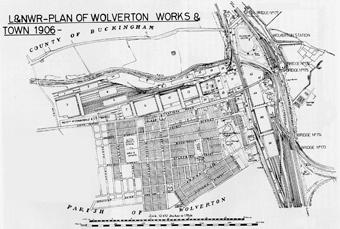 This meant that considerable additions to shop space at Wolverton were required and the railway works site increased from 30 to 70 acres. Over subsequent decades the site spread to the north and west, obliterating original housing in Bury Street, Gas Street, Walker Street, Cork Street and Garnet Street – as well as allotments. 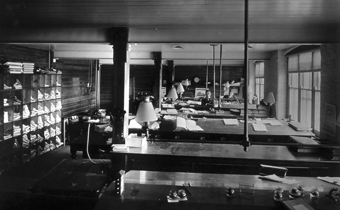 McCorquodale's Printing Works became established as a large employer in the Town. This was mainly brought about to provide employment for female labour which was deemed very essential in the district at this particular period. 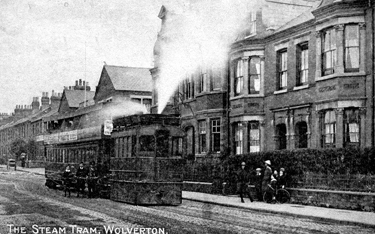 The Tramway, or Light Railway, was completed in 1887 and provided a link between Wolverton & Stony Stratford. This became a dominant well -used feature for many years. Social life was varied and included Working Men’s clubs and a purpose built cinema. Horticultural clubs and shows were popular especially as the allotments were a significant part of town life. A still further move in this upward tendency was the creation of a Mutual Loan and Investment Society which became the Wolverton Permanent Building Society. This meant that many workers could own their own homes rather than renting from the Railway Company. The last rental properties to be built by the LNWR was on the North side of Buckingham Street.